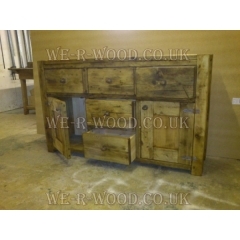 Choose from a range of distinctive wooden sideboards suitable for creating storage space in the dining room, living room, kitchen or hallway. 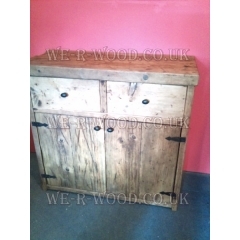 The Plank 3 Drawer Cupboard with 2 Doors is a real versatile piece of furniture. 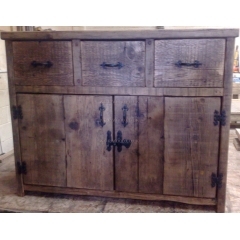 With it’s double cu..
Our hand crafted, hand finished wooden bespoke 3 Drawer Cupboard can be finished in wax, lime wax, v..
Our hand crafted, hand finished wooden bespoke Five Drawer Two Door Panel Sideboard can be..
Sideboard with Two Draw's and Door's with Centre Wine Rack, Ideal for the speical night's .. 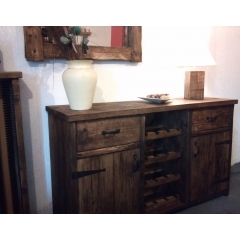 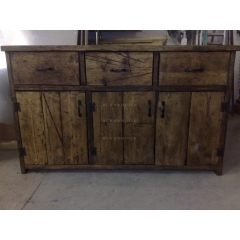 This panel sideboard will add charm and style to your kitchen,bedrom or dining room, two drawer..